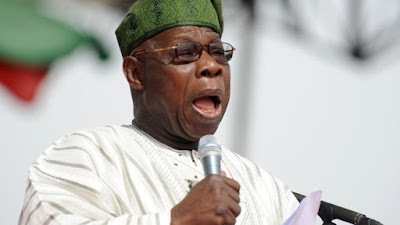 Former President Olusegun Obasanjo, yesterday, highlighted some of the reasons why all Nigerian leaders after his administration were unable to increase power generation from where he left it 10 years ago. He also said Lagos would become Africa’s third largest economy before in his lifetime, noting that the state government was already making it an economic hub. Speaking in Lagos at the launch of a book, “Making Africa Work,” which he co-authored with Director of Brenthurst Foundation, Dr. Greg Mills; President of NEWSEUM, Dr. Jeffrey Herbst and Major General Dickie Davis (retd), Obasanjo said lack of good leadership, continuity in governance and financial constraints were responsible for the diminishing status of power generation in the country. Obasanjo explained that his administration came up with an agenda called ‘NEEDS,’ which is National Economic Empowerment Strategy, to deal with power and other problems confronting the nation. He said: “The idea is that we would have something that will lead us in every aspect of governance and we make federal, states and local governments buy into it. “When we were planning it, we went round the country, sample people’s opinion and consult traditional leaders. The incoming administration after us was not left out in it and during my administration, we implemented the first phase of NEEDS and it was supposed to be continuous. “But to my surprise, the administration that succeeded our tenure, which campaigned on the basis of continuity, failed us. Obasanjo also said Lagos would be Africa’s third largest economy before he dies, adding that the necessary structures were already being put in place to achieve that. “Even though people said I look like someone who is in the departure lounge, Lagos will become the third largest economy before I take my boarding pass,” he said. It is a nice dream, and you can achieve it Sir.